E. Ribeiro Corp. was established in April 2006, founded by Edward R. Ribeiro which he jointly owns and operates with Helena Ribeiro. Edward has an extensive background in architectural design and engineering and Helena in finance. E. Ribeiro Corp. is a General Contractor and Restaurant Specialist. A company which consists of working with commercial accounts/projects. We have done projects for Dunkin’ Donuts and restaurants such as the Azorean in Gloucester,MA and Alfredo’s Italian Foods, Inc. in Quincy and Canton, MA. 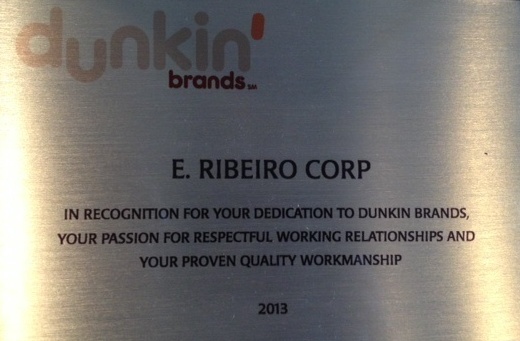 E. Ribeiro Corp. is an approved contractor for Dunkin' Brands.